Regardless of what you told the instructor, their job is to help guide you to better riding. What they see from the ground may or may not mesh with your idea. Coaches base their instruction on what they see and the attack the problems that they feel are most important to the riders’ progress. Sometimes they are one in the same and sometimes not. When we are in a learning environment, it is easy to get ahead of ourselves. It occurred to me while giving a clinic at Sunnybrook Farm in Oregon, that horse shows often encourage riders to focus on results they are not yet ready for. Often we are so anxious for results that we cannot see the steps that have been skipped along the way. 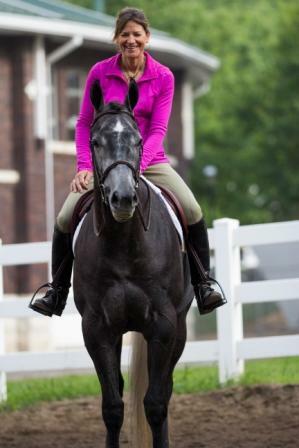 When your instructor makes you repeat some remedial exercise over and over again, it is not because they feel like you are slow or unaccomplished, rather it is because they feel there is a disconnect in some aspect of your riding. In their opinion, this disconnect hampers your ability to achieve your goal, for instance a top ten at the World Show. By definition, a lesson is a learning experience – some better than others and some more positive than others. Some students participate because they seek validation, they really just want to be told they are good, they are talented, they have a great leg or a great horse, whatever the case may be. But most people take a lesson because they are genuinely interested in improving. When the words are not what you want to hear or it seems that the instructor is asking you to do elementary exercises, it is up to you to you to be open to the direction the instructor is taking you. With more emphasis being placed on patterns and some breed organizations not requiring rail work for horsemanship or equitation, much focus is placed on the technical aspects or the horse’s footwork of the pattern. It is easy to concentrate on “getting the pattern right” and forgetting that judges are looking for the most accomplished communicator, the rider who looks like they could ride the hair off a broncy two-year old. If all your time in a lesson is spent on running patterns with no time devoted to schooling the basic skills, your patterns will be lacking. Even very accomplished professionals ride without their stirrups, drill basic skills and repeat the most basic of exercises. The purpose of repeating a basic exercise over and over is to ensure your response is automatic when called on in the show arena or heaven forbid, when the horse reacts violently and your skills are required for your safety. While you think that you may need to work on your spins, your instructor may feel that you need to do balance exercises and square corners. By the lessons’ end, you may discover that the problem with your turns was in your positioning. Perhaps you were caving in your ribs, dropping your weight to the inside or leaving your outside leg light in the stirrup. Drilling proper position in larger, more open turns, circles or squares, keeps you thinking about maintaining proper position during turns of any kind and voila, your spins have improved! This is not to say that every instructor is perfect for every rider, but determining whether an instructor is right for you is a conversation for another day. For today, stay patient, study the basics and give your instructor the benefit of the doubt – even if you feel the instruction is boring, repetitive or beneath your level of accomplishment. Many riders quit out of frustration after having early success. It is not unusual for those riders to become discouraged when they are challenged as they move through the ranks. Often this happens because they have not been trained to accept instruction. Instead they have received validation, been told they are good or simply not had their skills challenged. As they progress through higher levels they get beat by riders who repeatedly dropped their irons, practiced circles ad nauseam or continually drilled basic skills. 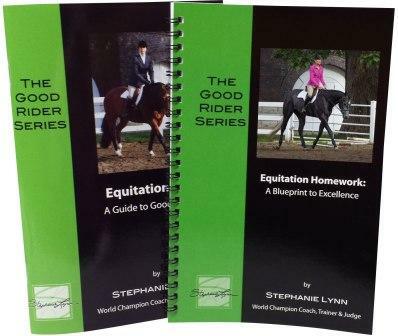 Take the words from your instructor and apply them to your riding. The words are not meant as a personal attack. And if you get the feeling they are, then by all means leave. Just remember that you may hear the exact same words with the next instructor and it is up to you to be open to the evaluation. It is your decision whether or not you make the suggested changes but your success as a rider lies in your hands. 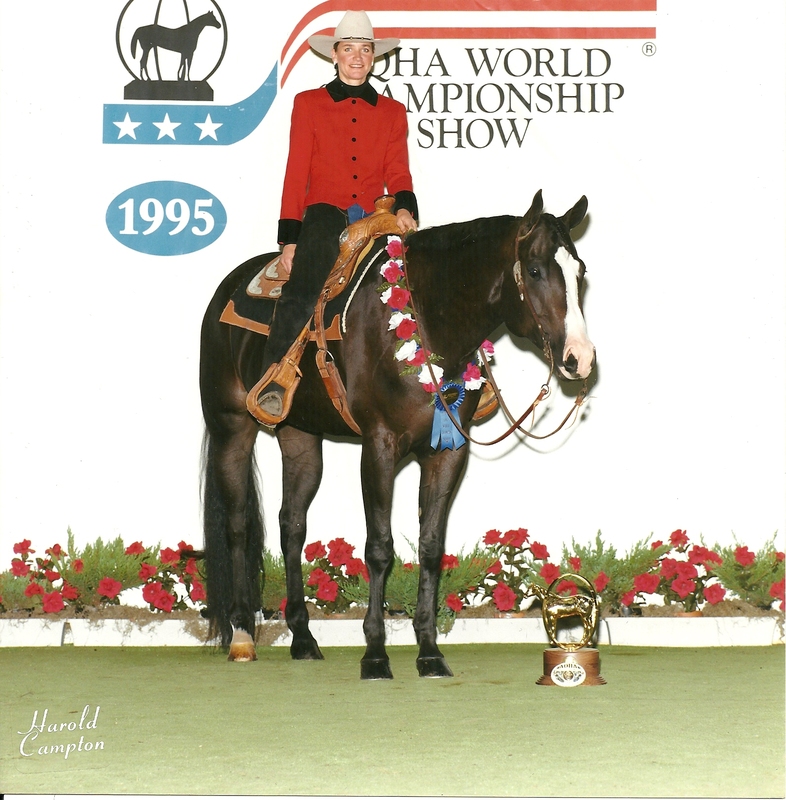 In 1995, my friend, Patty Pronold (Campbell) worked for a family training, coaching and preparing horses for competition. She kept the family members in the ribbons, and trophies, at the big shows. That year she hired me to ride Risin Injun in the Sr. Hunter Under Saddle at the AQHA World Championship Show. Schooling after the preliminaries, Patty gave me some advice I did not want to hear. She insisted I was helping the horse too much, looking down and making it appear as though my ride was difficult. It was a tough pill to swallow. I had been training, showing and preparing horses for others my whole life. It felt as though I had taken a step backwards instead of forward. But I had been knocking at the doors for too many years. I wanted to move forward. I had absolute faith that Patty knew; she too had been training and coaching her entire life. She was not only a great coach and trainer, she was a friend and had my best interest at heart. People do not show up to help you in the practice pen at three o’clock in the morning if they do not care about your success. Instructors, coaches and trainers give their best advice to help you succeed. What a rider chooses to do with the information determines the rider’s success. I did not win the World that year in the Senior Hunter Under Saddle, but I was third. And that year I did win the World in the Junior Western Riding on another horse Patty helped me with – The Snooty Fox. Without Patty’s critical eye and her honest encouraging words, I assure you, I would not have won.